Inspiring children to love bees and nature, is not only life enriching for the child, it is a great way to help ensure the environment will be protected for future generations. "Teaching a child not to step on a caterpillar is as valuable to the child as it is to the caterpillar." "Beauty and seduction I believe, is nature's tool for survival because we will protect what we fall in love with". I’m convinced the passion I have for bees, started when I was a young child. So how can we help children to be inspired to care about and love wildlife? All children are different, but my ideas stem from my own experiences some of which I include below. 1. Make a home for bees in your garden! Create a bee and pollinator garden together. 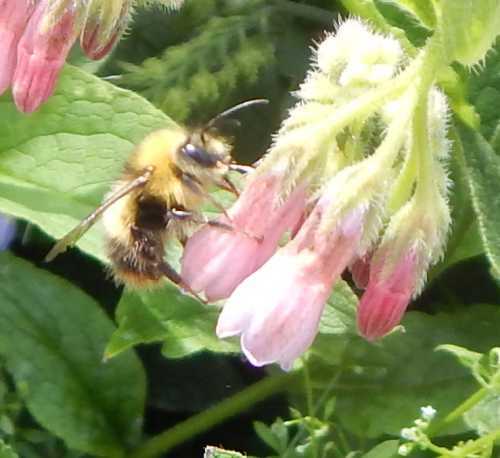 For advice about which plants to grow see this list of bee plants. It's a brilliant opportunity to make a direct link between the foods we eat and the creatures (especially the bees and other pollinators) which help to put food on our plate. It's also one of the best ways to inspire children to love bees, and indeed, you might want to think about creating a bee garden at home or in the community. It will be fun to plan and create the garden, then watch for the different bees visiting the flowers as the garden grows. Do remember that bug hotels don't need to b fancy or expensive, but please do not use plastic or glass (they can cause condensation, dampness and mold) or metal (poor hat regulation). A simple thing to do is gather a few hollow canes and twigs, tie them together securely, and place them in a sunny spot. These days I also like to dot a few single hollow canes around too, for bees that don't usually nest in groups. Alternatively, it's possible to purchase bee houses which will enable your child to look inside, like this one pictured right. If your child belongs to a nature group, arrange a visit from a beekeeper – you may even get to sample their honey! A beekeeper will be able to tell you lots about the fascinating world of honey bees. Contact your local beekeeping association - they may have a local outreach officer or similar. 2. Get outdoors and observe nature! Go for walks - either guided bee walks, or simple nature walks. Nothing beats getting out into the garden or taking a walk in the countryside or in the park. 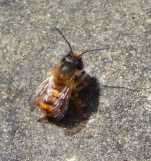 In some areas, community 'bee walks' are being arranged. If there isn't one in your area, why not find an expert and arrange it yourself for the community? I have fond memories of walking down country lanes with my father. We would chat about all kinds of topics (that are important to five year olds! ), not only wildlife, but every now and then, we would stop and look at things – a bird nest in a hedgerow or a hairy caterpillar on a flower stem. A snail may need to be rescued from the danger of being squashed underfoot, or a beetle could be admired for its iridescence. A ladybird (or ladybug) could have its spots counted, and birds could be identified by their songs. Later on, I was sufficiently motivated to observe nature by myself. I would sit for hours watching a queen bumblebee entering and exiting the new nest she was establishing in an abandoned rodent hole beneath our privet hedge. 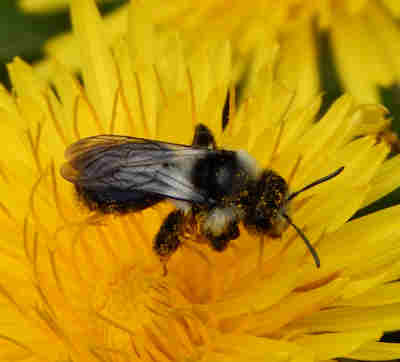 For example, record and identify which bees are visiting which flowers and food crops. Take a large plastic hoop and count how many creatures you can see inside the hoop. Try it for a number of different habitats, and compare them. and by searching for beautiful images on the internet, or having posters in the bedroom. Below is a selection of other books for children. Educational or fun games in the home with a nature and wildlife element bring nature into play in a more structured way. You'll find a number of printable activity pages here. Or why not try creative activities such as painting, colouring and crafts: create a hanging bee mobile, take or print out pictures of bees to make a bee calendar, matching card game or jigsaw puzzle, or make handmade birthday cards on a bee-theme. You'll find some printable bee-themed bookmarks to cut out and keep here. Also, remember there are plenty of craft items, stickers and so on, that can be used - more ideas below. an empty snail shell, a bird feather, pine cones, a piece of quartz or unusual stone. These provide great talking points, and it can be fun to spend time identifying the items gathered. That nature is beautiful and worthy of being cherished in its own right is important for children to learn, I think. But it’s also good to teach children the value to humanity – in the case of bees, how they pollinate our food crops and flowers. Why not take time to reflect with your child on all the things you have eaten in a day that needed help from our bees and other pollinators. 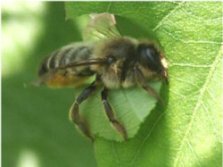 Apple pie, strawberry ice cream, blueberry muffins, beans, tomato ketchup…..or how about honey (it takes about 556 foraging honey bees visiting 2 million flowers, just to make a pound of honey! 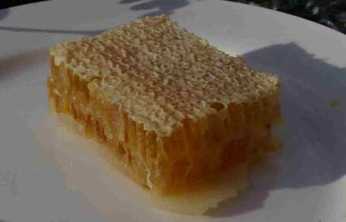 - see more honey bee facts). Decorate cup cakes to look like bees. Get out those paints and pens and create pieces of artwork for the wall! Cut out these bookmarks - or make your own! Create a collage, using dried flowers you know the bees like, and mount it onto the wall. Try your own version of encaustic art! 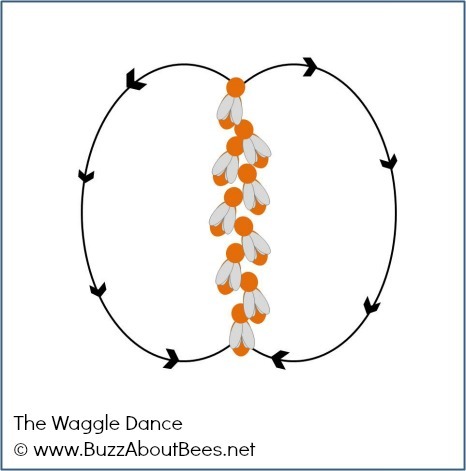 Invent a dance to this tune: The Flight Of The Bumblebee. Have a bee-themed fancy-dress party. If the honey bee queen is removed from a hive, within 15 minutes, the rest of the colony will know about it! Fishing in a pond, autumn leaves gathered for leaf rubbings, teasel heads made into prickly hedgehogs, starting my own ‘nature diary’, collecting feathers and shells, painting pebbles – all things I did as a child. But I also remember the fun of growing and measuring the height of sunflowers, counting the number of beans produced by a plant tended by me, and learning fun facts about wildlife. The countryside, the garden, the park, the beach, the woods - all can provide excellent resources for nature-themed activities and play. 8. Make use of the vast free resources out there! There are plenty of free resources to print out from the internet. This website has links to free bee I.D. charts, but second hand pocket books can be picked up quite cheaply – and there’s always the library. Below are some useful information leaflets and sheets for use with children. Because links can sometimes be broken (which the search engines do not like), I have chosen not to link directly to the following pages. Please copy and paste the links into a new window on your computer. 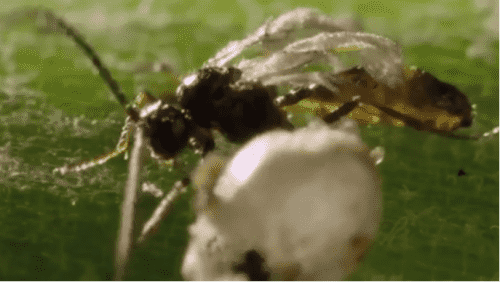 http://sciencenetlinks.com/media/filer/2011/09/27/tf-snl-dances-with-bees.pdf There are many more free resources out there. 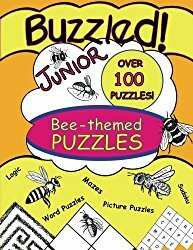 For example, for colouring pages, simply google ‘bee colouring pages’ – there are many to choose from to suit different ages! So come on folks, whether you are a teacher, parent or carer, inspiring children to love bees isn't that difficult and doesn't have to cost a fortune. Bees are amazing, and afterall the kids will benefit, and their children too! Don't we want them to experience the sight of wildflower meadows, colourful gardens and tasty fruits and vegetables? I'm sure we do!